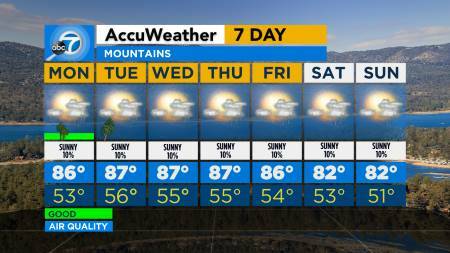 SoCal will see cooler temps this weekend and a chance of rain Monday. 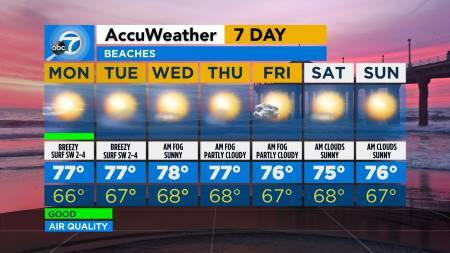 LOS ANGELES (KABC) -- Temperatures are cooling down for the weekend in Southern California and some rain could be coming Monday. 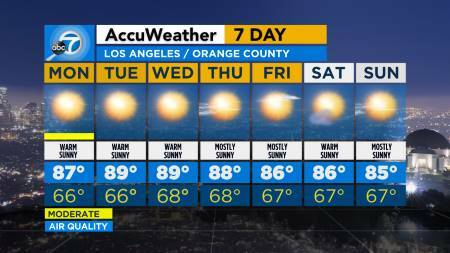 Los Angeles and Orange counties will see some clouds Friday morning, with temperatures hovering around 70 through Sunday. Monday night will bring a 20 percent chance of showers. 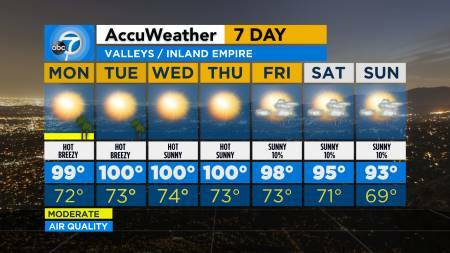 Valleys and Inland Empire regions will see sunny, warm conditions Friday with a high of 82. Beaches will see a few clouds in the morning, with temperatures reaching about 66. Mountains should be cool and breezy with a high of 68. Some mountain communities could see a 40 percent chance of showers and thunderstorms Monday. 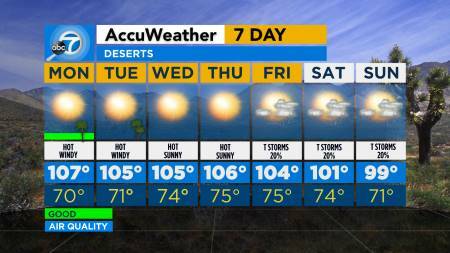 Deserts will be sunny and breezy with a high of 88.